For me, the public library has always been place of possibility and self-discovery. 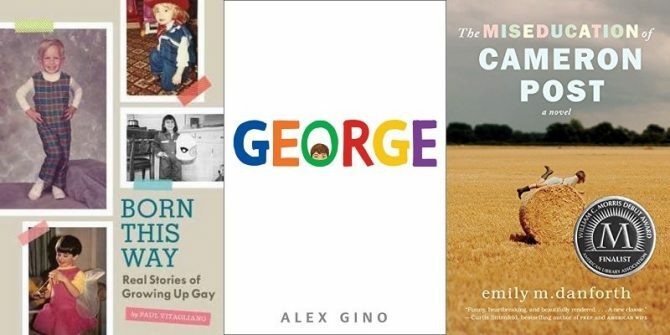 As a gay youth growing up in a small, predominantly Christian and conservative community, I didn’t feel comfortable accepting my true self, let alone trying to relate to others about it. Huddled in the stacks reading, it was in the books on the shelves of my local library that I first discovered I wasn’t alone, that other people felt the same as I did and had experienced similar journeys. The public library is meant to serve everyone in the community. That means people all diverse experiences – including, but not limited to, LGBTQIA, people of color, and people with disabilities—should be able to find resources that will help them explore their identities and literature that reflects and honors their lives. By doing a subject search in our catalog, you’ll find that the library does have some diverse resources, but they’re vastly outnumbered by those of a white, heteronormative experience. Part of the issue is the lack of representation in the publishing industry, which has yet to keep pace with the reality of diversity in the United States and the world. Fortunately, campaigns like We Need Diverse Books and #ownvoices are bringing to light this disparity and advocating for change. As LPL Director Brad says, “Lawrence Public Library is committed to articulating the diversity of our community, our nation, and our world.” In my position as Collection Development Coordinator at LPL, I get to help ensure that the diverse experiences of Lawrence citizens are reflected in the books, movies, and music on our shelves. I also work with colleagues who recognize the importance of extending that reflection beyond the items on our shelves to the library’s programs and services. With signature events, lecture series, storytimes and book clubs, library staff has sought to celebrate and promote diversity throughout the year. This Pride Month, the library hosted its first ever drag queen storytime. 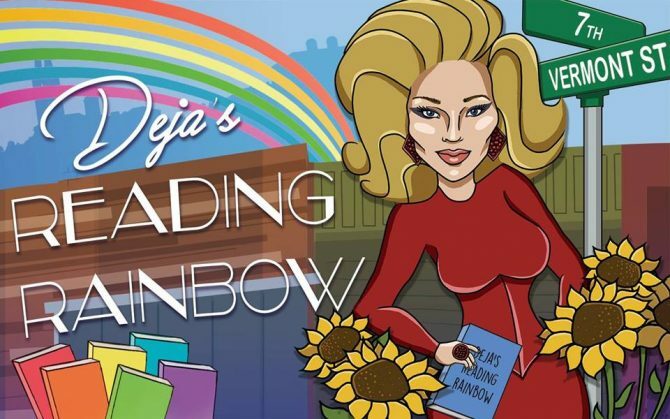 Deja’s Reading Rainbow was a storytime “about love and friendship, being different and belonging, being unique and being accepted, colors, rainbows, and, of course, fun!” I know the teenage me would have felt much more comfortable in his skin if he had the opportunity to attend a program like this.